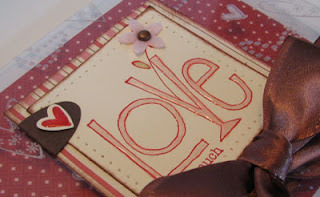 I love the look of the white hearts stamped on the clear card base. 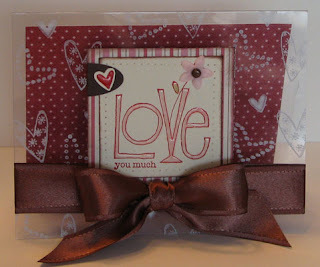 I used the Staz-On opaque white pad and the heart stamps from the Love You Much set. I also applied Crystal Effects (I love this stuff) to the letters and the small red heart to give a glossy look to them. All except the clear card base is from the Stampin' Up! catalog. The patterned paper, stamps, and heart punch are all a part of the Love You Much bundle that is being offered right now at 20% off. This great deal is only available until the end of the month, so be sure to stop by my Stampin' Up! website to pick up yours before the sale ends. Amy this absolutlely beautiful... trying to figure out what an acetate card is??? I always love to see your cards.